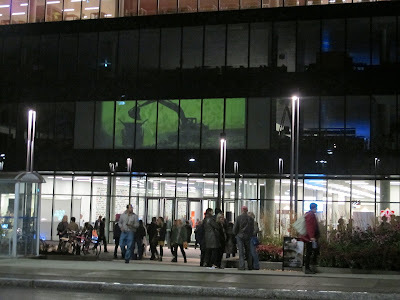 Depths of Sorrow: Motion Activated, Nocturne, 2017, Halifax. 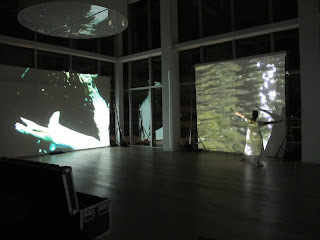 October 14th saw our collaborative team Motion Activated in a multimedia performance with my work as visual artist and animator, audio/visual composer Lukas Pearse, and dance artist Veronique MacKenzie, in the presentation of Depths of Sorrow- a large-scale projection event relating the haunting and tragic story of the maiden voyage of the Titanic. 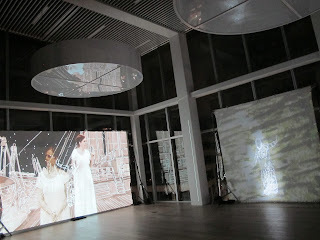 with the sound score heard via speakers in the front courtyard. This abstract narrative retells a story of courage and the ensuing darkness that overtook the passengers and crew on that fateful night. 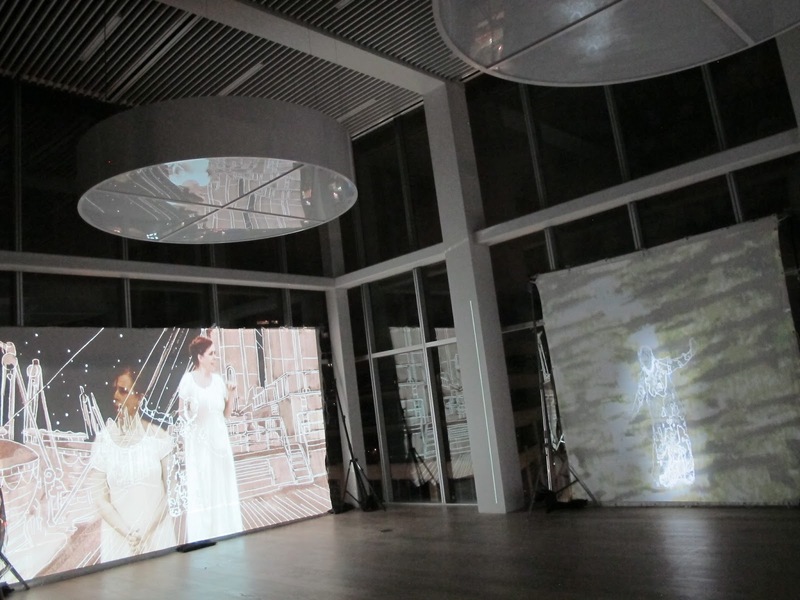 A fictional passenger embarks on her journey across the ocean on a vessel deemed unsinkable. 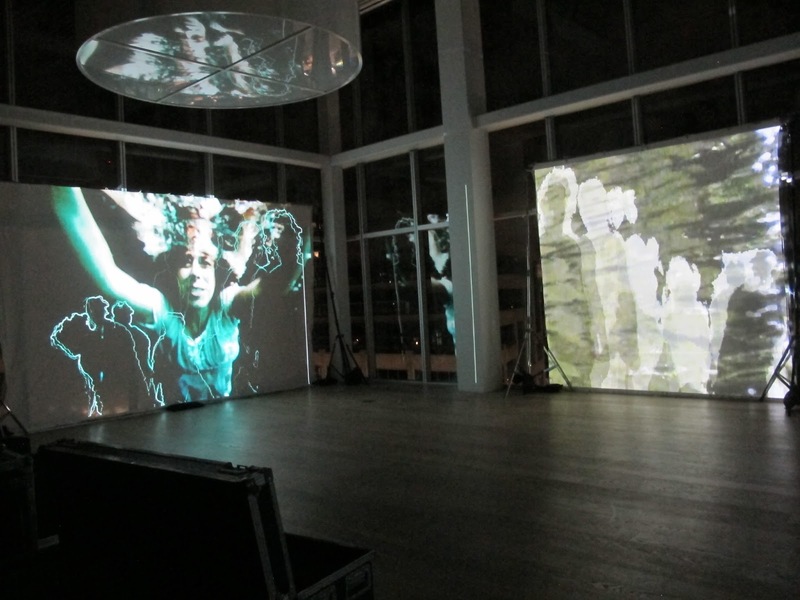 Set amongst hand-drawn images and animations based on archival photographs of the ship’s interior and exterior, the character’s video image moves and dances as she experiences the initial hopes of her exciting journey through to her final horrifying moments in the ice cold waters of the North Atlantic. 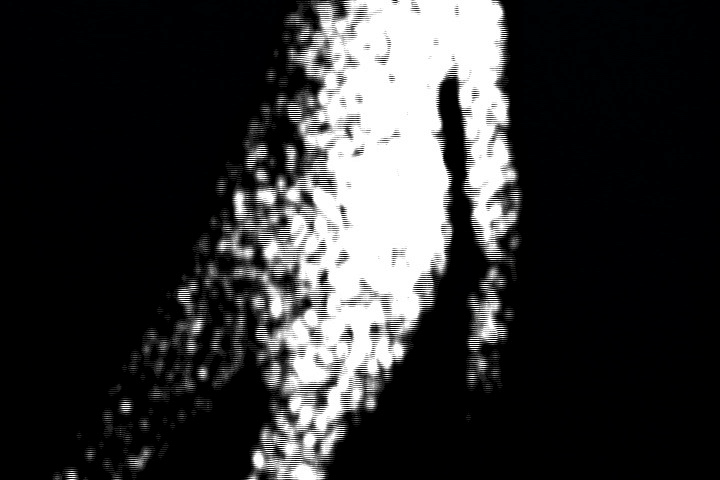 Live dance performance captured by infrared camera infuse the imagery with ghostly figures through real-time video processing. The immersive sound score includes nostalgic musical elements of the era as well as a Morse Code Fugue while underwater imagery pulls us down to the final resting place and into the Depths of Sorrow. 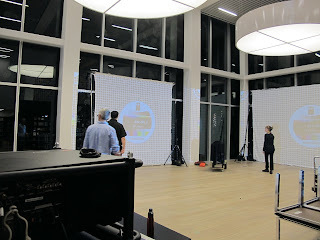 In the projection space, preparations and rehearsal took place the night before. Rehearsal on October 13th, as viewed from the courtyard. 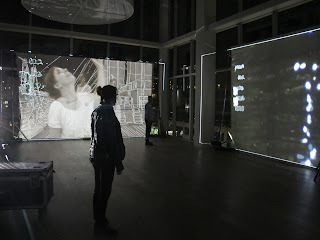 Living Room, with three projectors rear-screening the video, animations and live performance. 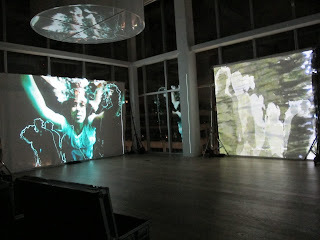 to the video projection through infrared capture. 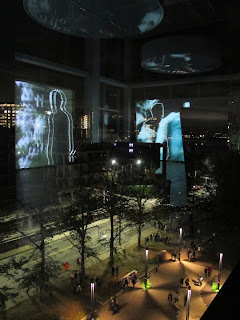 Looking down from the projection area, the performance was reflected in the window glass. Depths of Sorrow as viewed from across the street on the corner of Spring Garden Road and Queen Street. 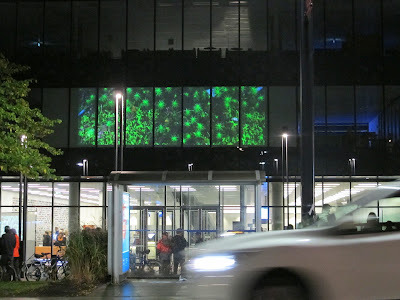 Depths of Sorrow as viewed from the centre of the courtyard. 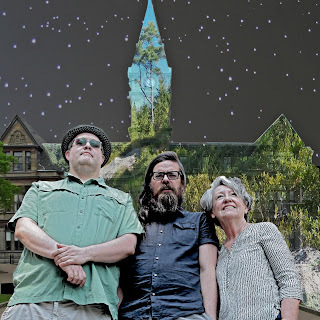 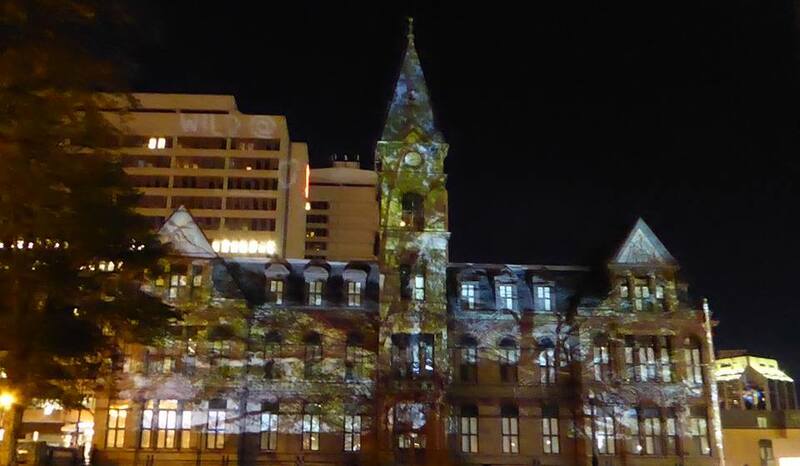 Through projection mapping and audio soundscapes, Susan Tooke (video/animation), Lukas Pearse (projection) and Daniel O’Neill (audio) brought Halifax's wilderness areas to the Grand Parade. City Hall became the screen for video projections with interpretive animations based on HRM’s parks, wilderness areas and green spaces, while the sounds of these environments echoed off the glass, steel and stone walls of the urban core. 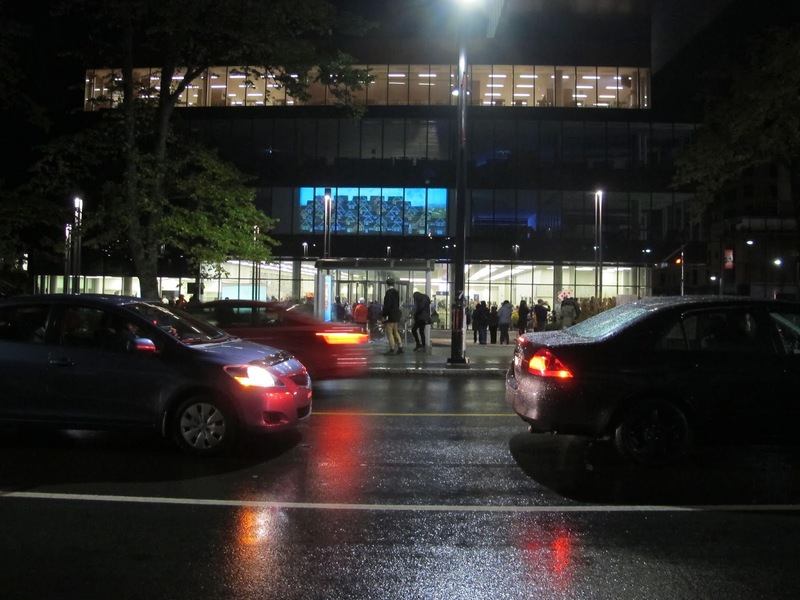 As Halifax contemplates sprawl and the densification of the city core, the surrounding wilderness remains threatened. Urban growth comes at varying costs to nature; a single hundred-year-old tree is taken down to make room for a widened street, views of our surrounding ocean are interrupted by sky-rise construction. 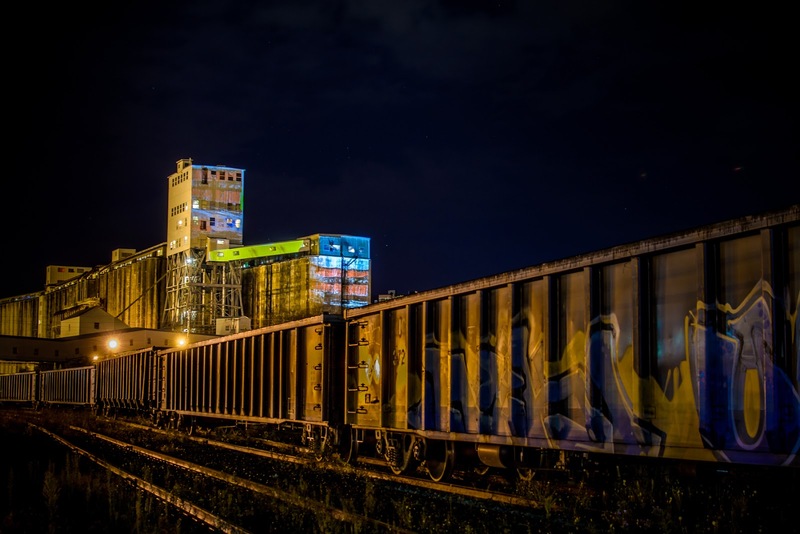 The foot print of the city at the same time as it is edging out wilderness areas, is creating a population that no longer sees themselves as connected to the natural world. 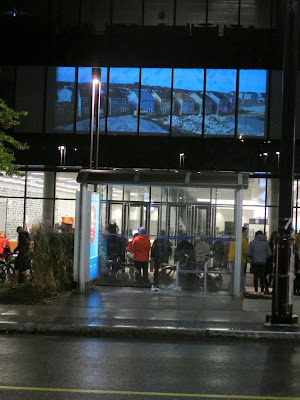 The presentation of visual and acoustic interpretations of the natural spaces around our city highlighted their importance and encouraged conversation on what we value, and who is being served by the destruction of our wilderness areas. 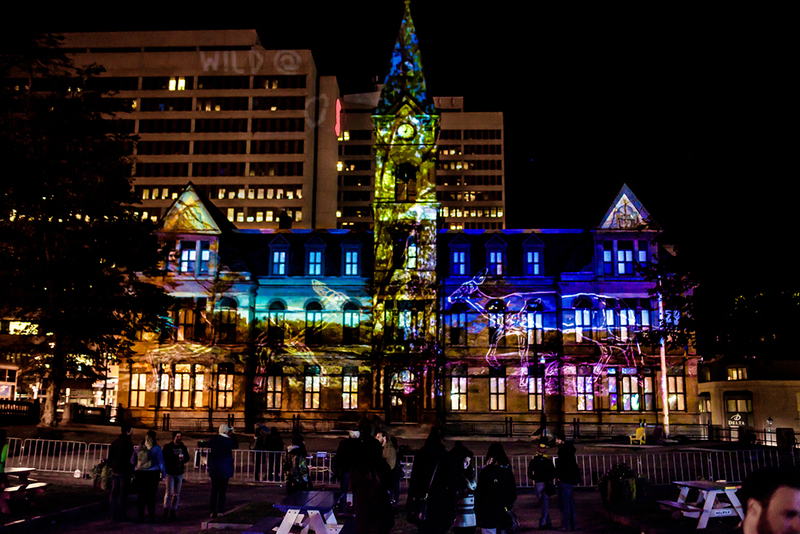 The sounds of these areas were combined with the video/animation projections eliciting a public response and awareness of the city’s proximity to nature, the need for conservation and the preservation of our waterways and wild places. With the heightened discourse in our communities recently surrounding building and the growth of our city, we re-raised the topic of the ways this growth impacts the natural environment we inhabit and changes our relationship with the natural world. 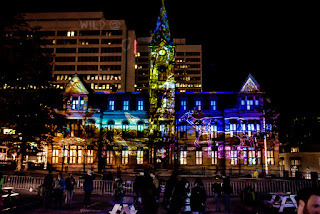 Examining green spaces on a grand scale with projections and soundscapes of these undeveloped lands on City Hall, viewers were encouraged to consider what we may lose, should these wilderness areas disappear. 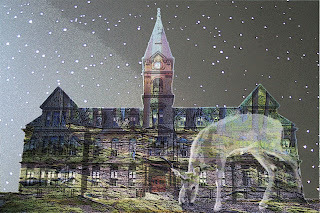 Ultimately, the community decides, through their representatives on Council, how we preserve our natural heritage. 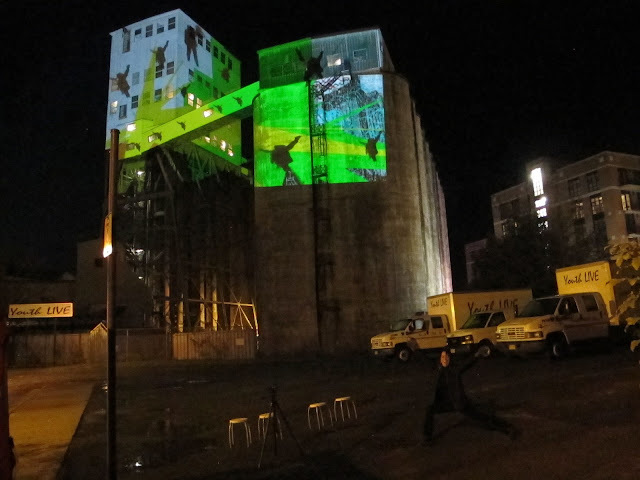 I was excited to be with our Motion Activated team working with projection mapping, live capture of movement, and live drawing. 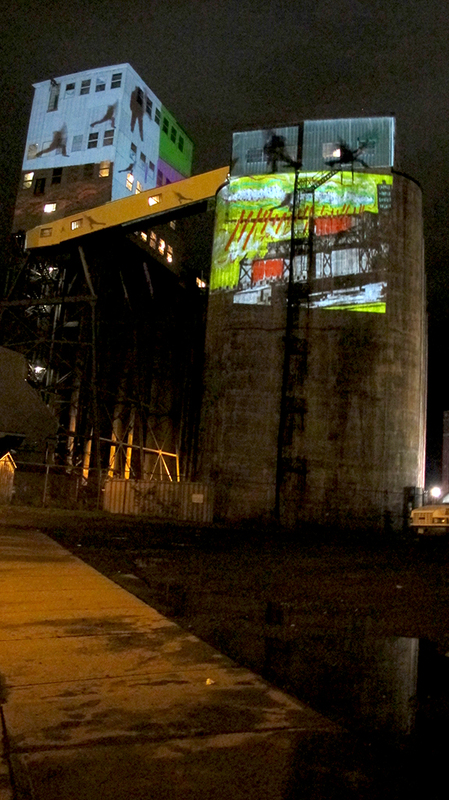 Lukas Pearse, Véronique MacKenzie and Susan Tooke:Halifax Grain Elevator, 951 South Bland St.
"In a grand-scale projection project, artists Lukas Pearse, Véronique MacKenzie and Susan Tooke present an ethereal performance piece, projected high against the facades of the Halifax Grain Elevator system and best seen from The Cunard Centre parking lot. 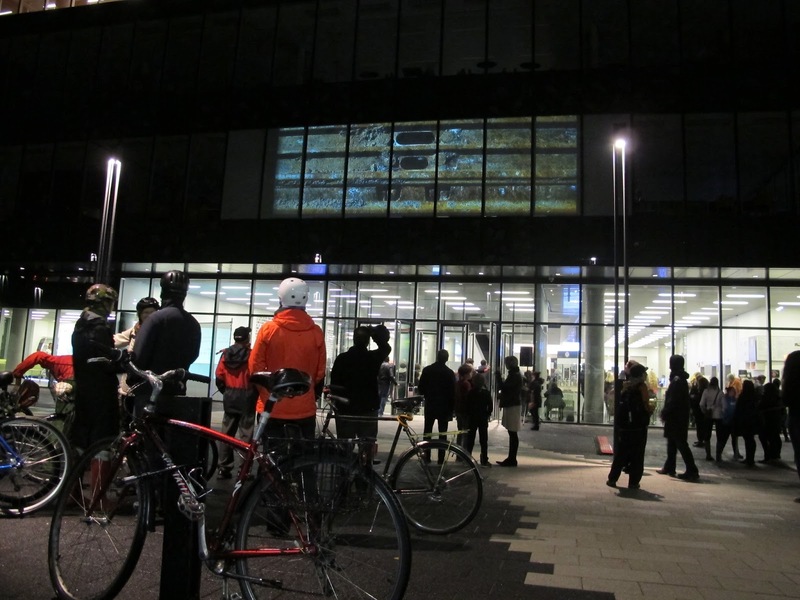 This project was presented in partnership with the Centre for Art Tapes." 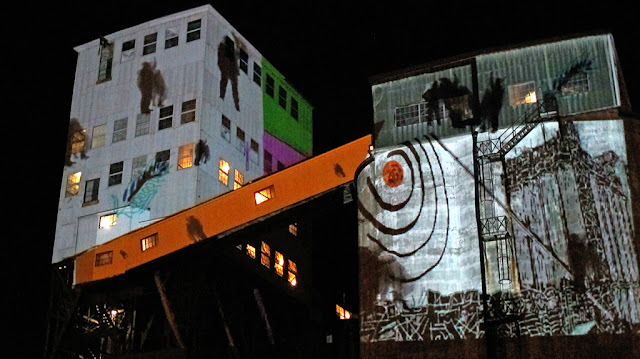 Nocturne: 2015: 3B: Backlands, Badlands, Burbs. With the theme of Lost and Found, I worked on two of the Beacon Projects during Nocturne, 2015. 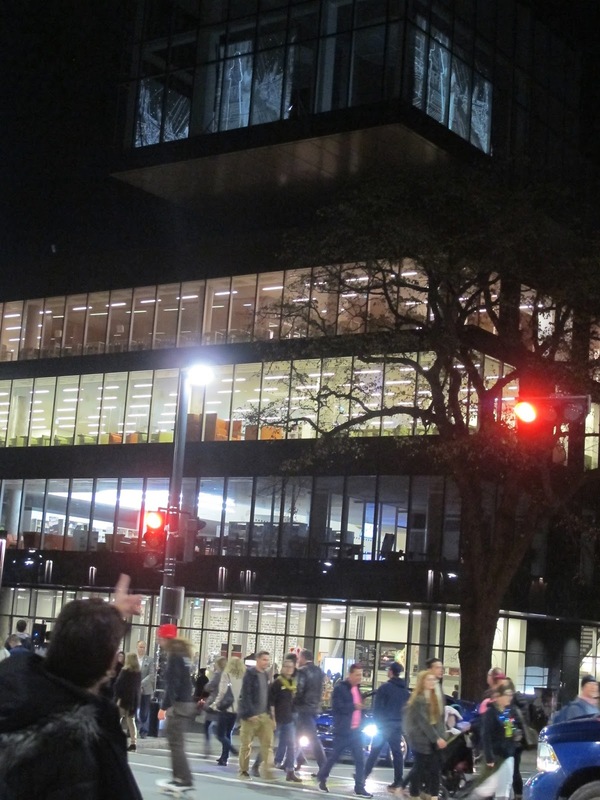 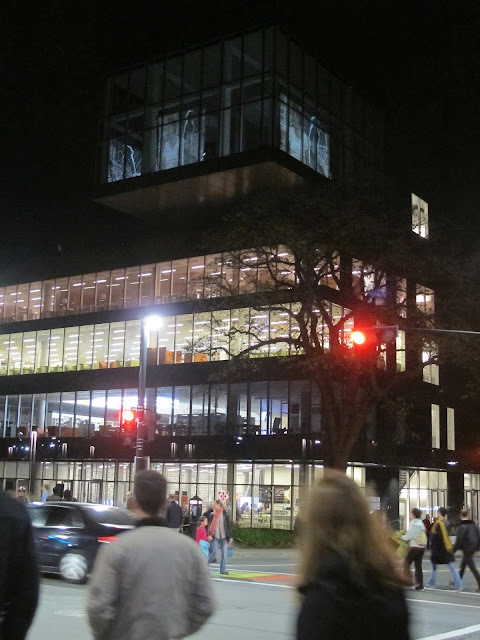 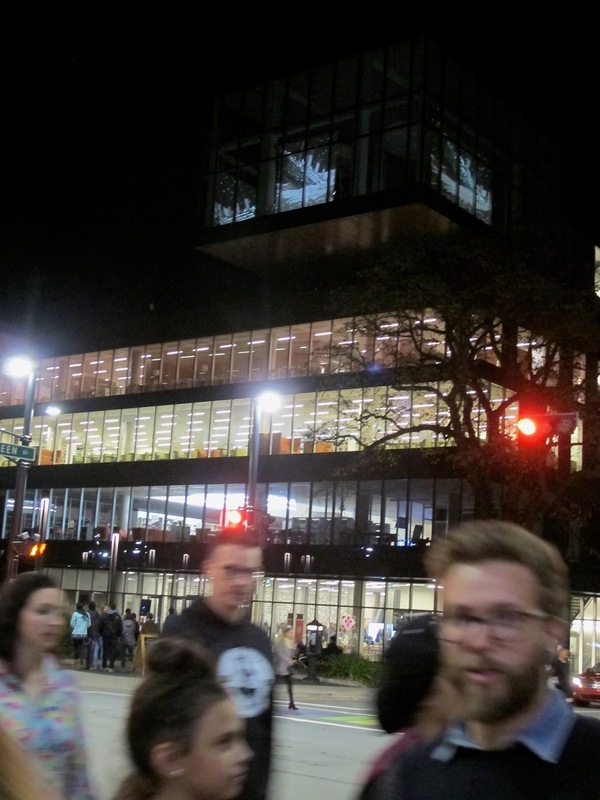 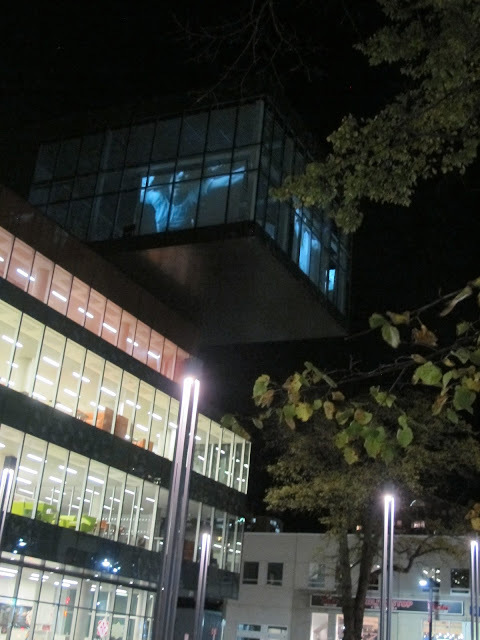 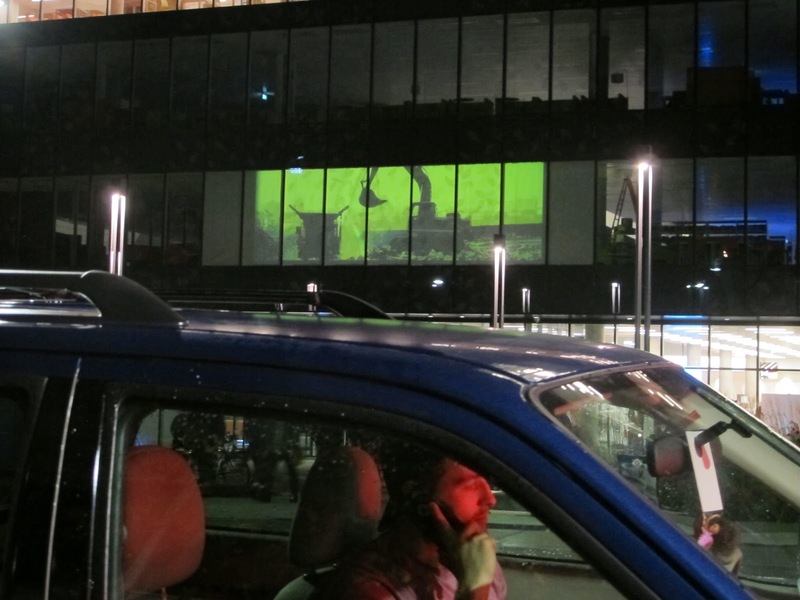 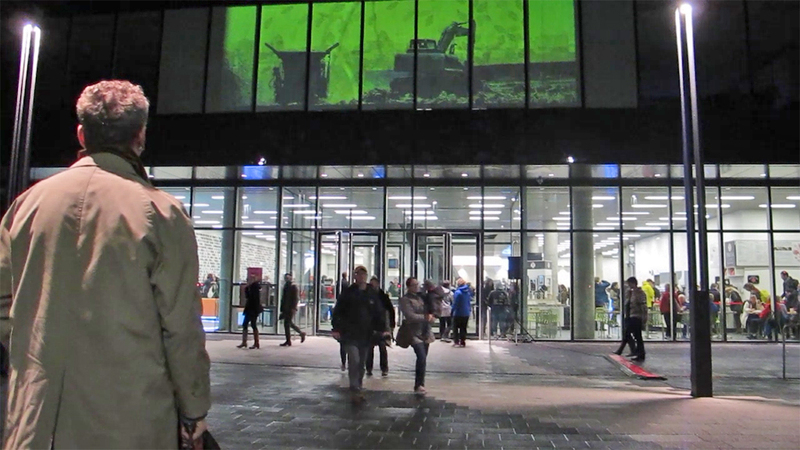 A combination of field video and audio recordings, rotoscoping animation, and still photography, 3B was Rear screen projected on velum covering a wide stretch of windows above the entrance to the new Halifax Main Library. 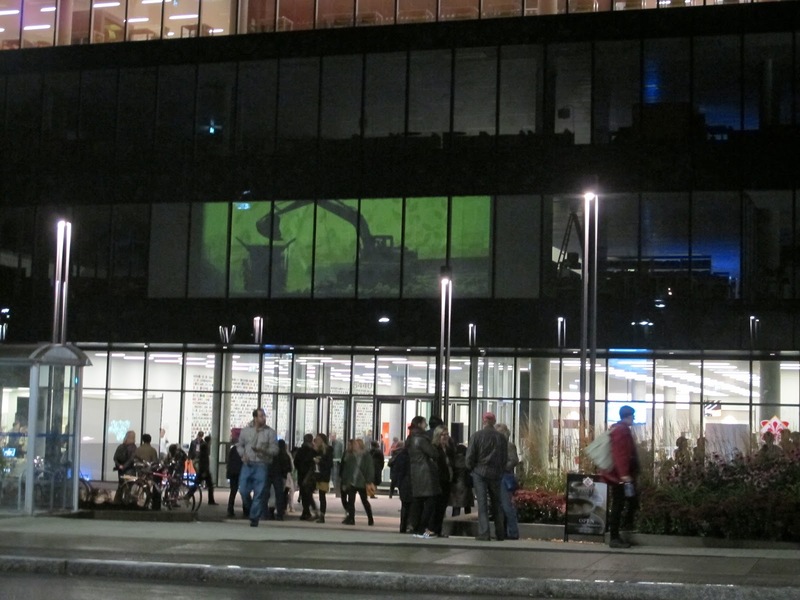 The audio track was broadcast in the front courtyard, so that viewers could experience video and audio not only while directly in front of the library, but from the surrounding streets. Initiating a discussion about choices we make as a society on the growth of a city, 3B explores the destruction of natural habitat by the encroaching development of the wilderness area known as the Backlands located between Purcell’s Cove Road and Herring Cove Road. The audience experienced, through sound and images, the natural landscape, the progression of the destruction of this rare environment and the building of the new neighbourhood. 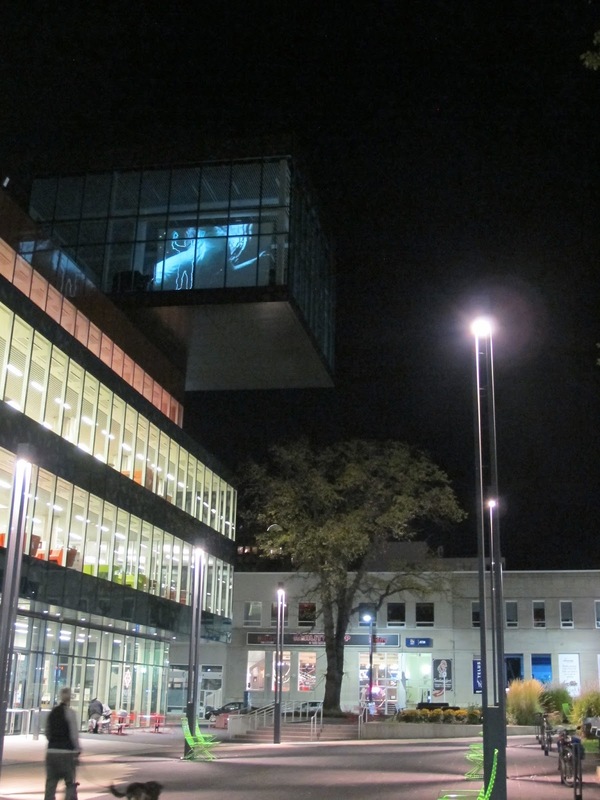 The fragile ecosystem is forever changed, with the very bedrock that supported it reshaped to provide for new housing. The lands once part of the Backlands wilderness area, found by hikers, bikers and finally developers is irrevocably lost, then re-purposed as human habitation reshapes the landscape.